Benefit from this hotel's location near Raleigh's RDU International Airport! 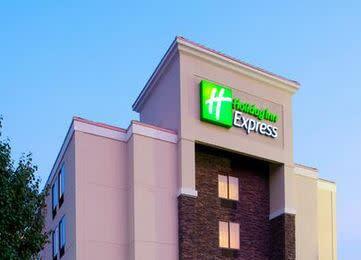 Stay in the heart of the Triangle Area at the Holiday Inn Express® RDU Airport. The hotel's guests are perfectly positioned near college sports venues, urban excursions and exciting outdoor recreation. downtown Raleigh, Cary and more, as well as over 150 parks, lakes and gardens, are all about 15 minutes from the hotel. This property has unmatched amenities for travelers flying in and out of RDU. The hotel's free shuttle runs from 4am to 1am. If you arrive during off hours, they'll pay your taxi fare. The local shuttle stops at Research Triangle Park and companies like Cisco, IBM, Lenova and John Deere. Free Wi-Fi access in every room, a 24-hour Business Center and Park and Fly packages help you work and travel for less. Catch the Carolina Hurricanes, a college basketball game or a long-anticipated concert tour at the nearby PNC Arena. You can take a guided Segway tour of Raleigh from City Market, an outdoor shopping and entertainment village, visit college towns or head to Jordan Lake for a day of fishing, boating and swimming. Prepare for a busy day with the complimentary, hot Express Start Breakfast Bar. After hours of meetings or sightseeing, slip into the sparkling, outdoor pool or unwind in the 24-hour Fitness Center. Let the Holiday Inn Express® RDU Airport hotel welcome you on your next trip.